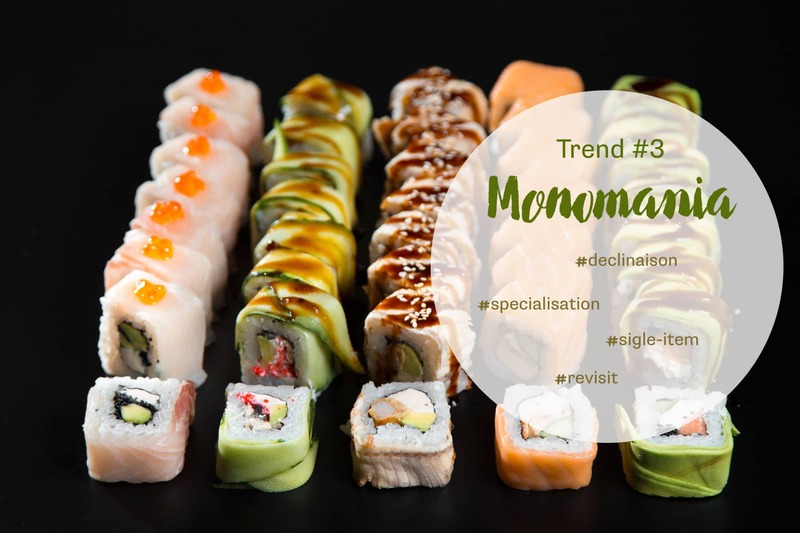 The monomania was born from two trends: the food aestheticization and the craving for originality. Using one single product is an invitation to more creativity: one has to revisit the product to strike the consumer, decline it to create the surprise. The GMS brands have assimilated this trend declining their products in multiple ways. The goal is double: create a strong visual and renew a culinary routine. Big cities have seen more and more mono restaurants develop these past few years. Juice bars, waffle bars, wine bars, cheese bars are multiplying. Beyond these street food brands, more gastronomic restaurants are now surfing on that trend. In Paris for example, we think about the Maison de la Chantilly (the house of whipped cream), Sard’in, We are Tiramisu, Arancini Bros, Eclair de Génie, etc. Social media accelerate the spreading of food trends and ideas. With the original declinaisons and the strong visuals, the monomania trend has become the queen of the platforms of photo sharing.